Preserve Calavera is partnering with the UCSD Natural Reserve System to offer the UC California Naturalist certification course. The class will provide hands-on instruction and exposure to real world environmental projects designed to inspire adults to become active citizen scientists and enhance their personal connection with the natural world. The course cumulates with each participant completing a capstone project. Upon completing certification requirements, participants are eligible for four academic credits through UC Davis Extension for an additional nominal fee. Participants are expected to volunteer 40 hours of their time after the class sharing their expertise. Preserve Calavera is a grass-roots, tax-exempt organization of north San Diego county residents and users of the natural open space in the area. It started in 2001 with a focus on the Calavera open space in northeastern Carlsbad. The group soon realized that natural lands do not exist as an island, and in order to protect this area they needed to consider the entire watershed, and the wildlife movement corridors that connect this area to the rest of the natural lands in coastal north county. While Preserve Calavera’s members are primarily from the surrounding cities of Oceanside, Carlsbad and Vista, they have some scattered throughout southern California and even from other states—all of whom care about preserving our priceless local natural lands. They confer with other environmental organizations with respect to habitat preservation and watershed protection issues and other parties of interest such as the adjoining Dawson Reserve. The mission of the Natural Reserve System is to contribute to the understanding and wise management of the Earth and its natural systems by supporting university-level teaching, research, and public service at protected natural areas throughout California. 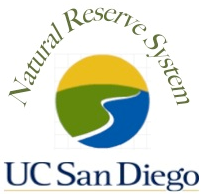 UCSD manages land at Dawson Los Monos Canyon Reserve, Elliott Chaparral Reserve, Kendall Frost Reserve, and Scripps Coastal Reserve. Next Course - January 2020: Currently, Preserve Calavera's next course offering will be in January 2020. Please contact pdecino@preservecalavera.org if you'd like to get on the waitlist. Visit the Preserve Calavera website here. Contact: For more information, please contact Paige DeCino, pdecino@preservecalavera.org.